Олег КУЧЕРЕНКО. 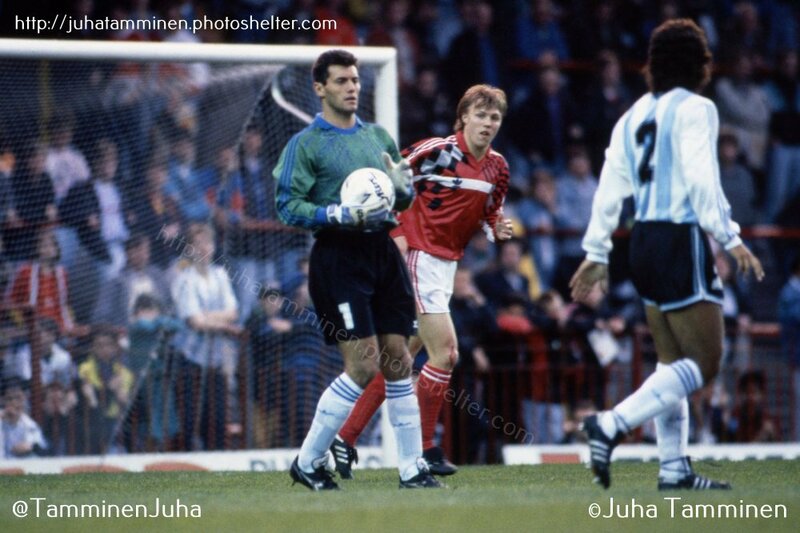 Еженедельник "Футбол" №21, 1991 г.
Газета "Советский спорт", 25.05.1991 г.
Гол Руджери (Аргентина) на 45-й минуте матча. Михайличенко удачным подкатом не дал сопернику пройти дальше. Фото ©Juha Tamminen. Канчельскис (на почти родном стадионе) в отчетном матче. Фото ©Juha Tamminen. 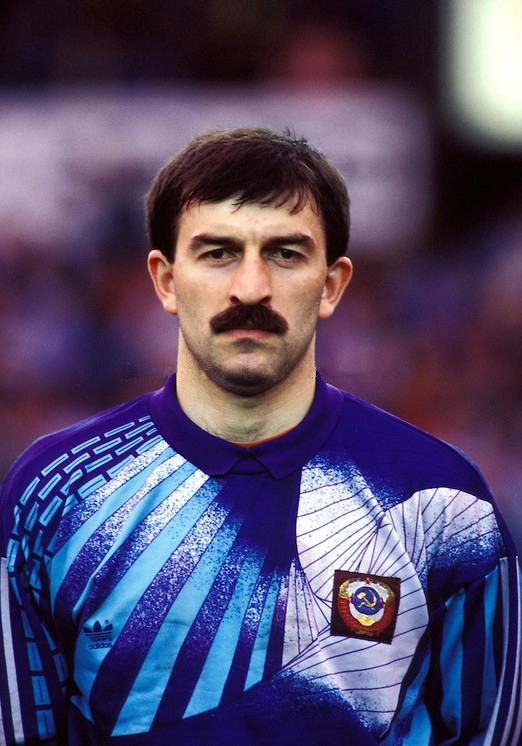 23.05.1991.Igor Dobrovolski. Фото ©Juha Tamminen. 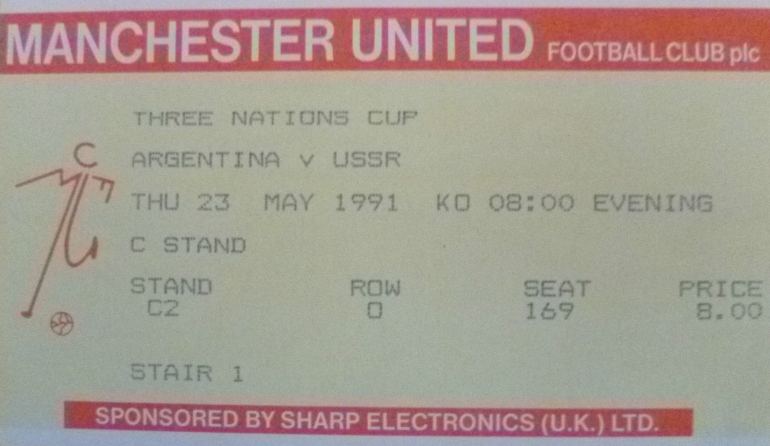 -Match number 629 for Argentina and number 378 for USSR. -This was the 11th meeting between the nations. 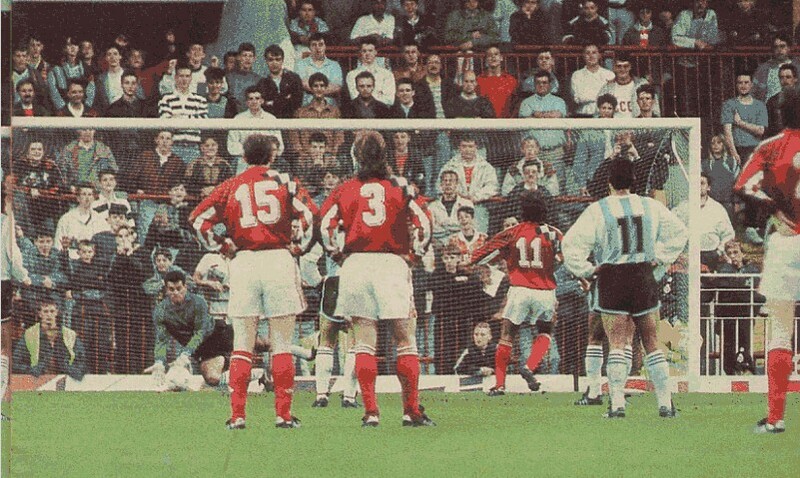 -This was part of England Challenge Cup, a three team end of season tournament between hosts England and guests Argentina and USSR. 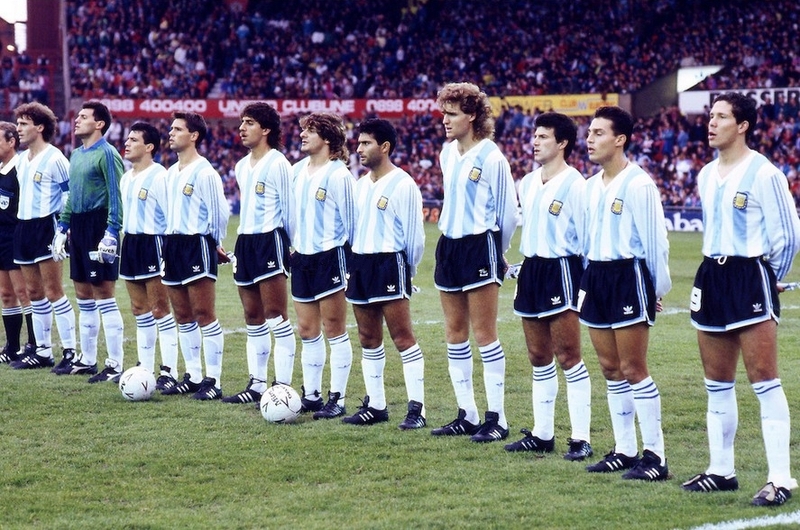 -The previous match between the nations, as well as Argentina’s last victory over USSR, was during the 1990 World Cup in Italy in Napes on June 13, 1990 that Argentina won 2-0. USSR players: Dobrovolsky and Shalimov also took part in that match. 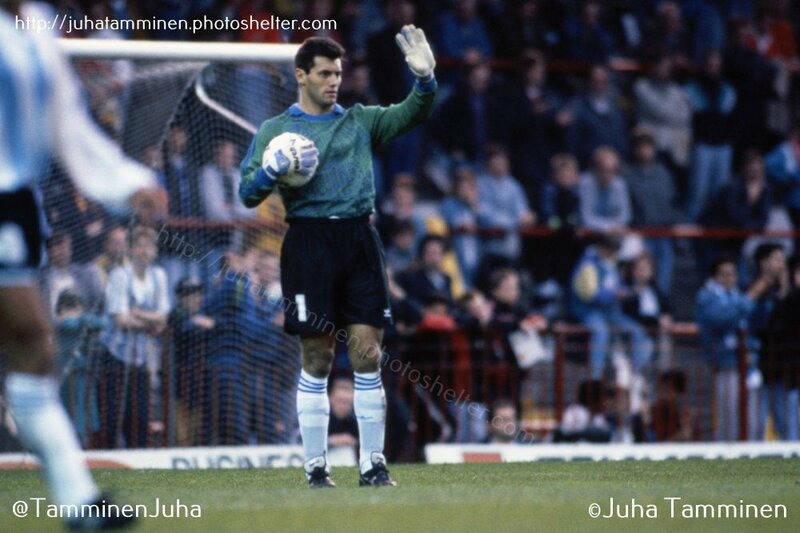 Argentina’s goalkeeper Goycoechea became Argentina’s starting goalkeeper starting that match after he replaced Nery Pumpido who had broken his hand during the match. 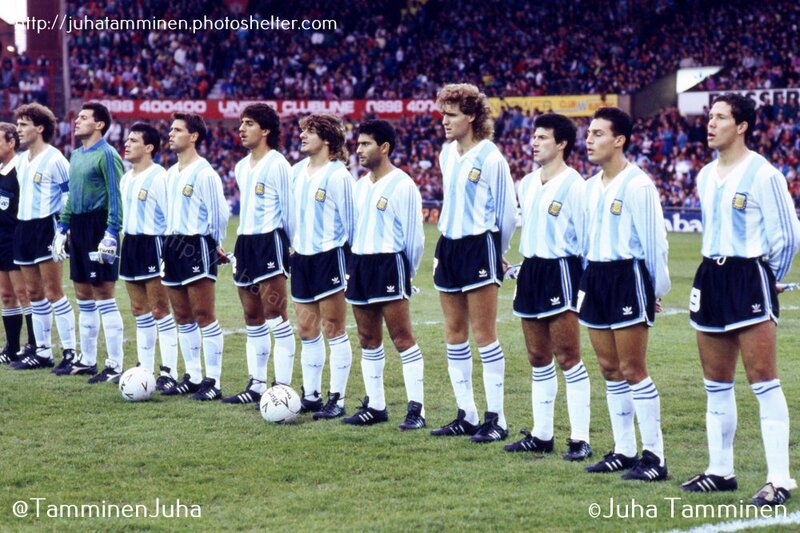 -USSR’s previous victory over Argentina was on March 31, 1988 when they defetaed Argentina 4-2 during the Berlin Easter Tournament at Munich, West Germany. 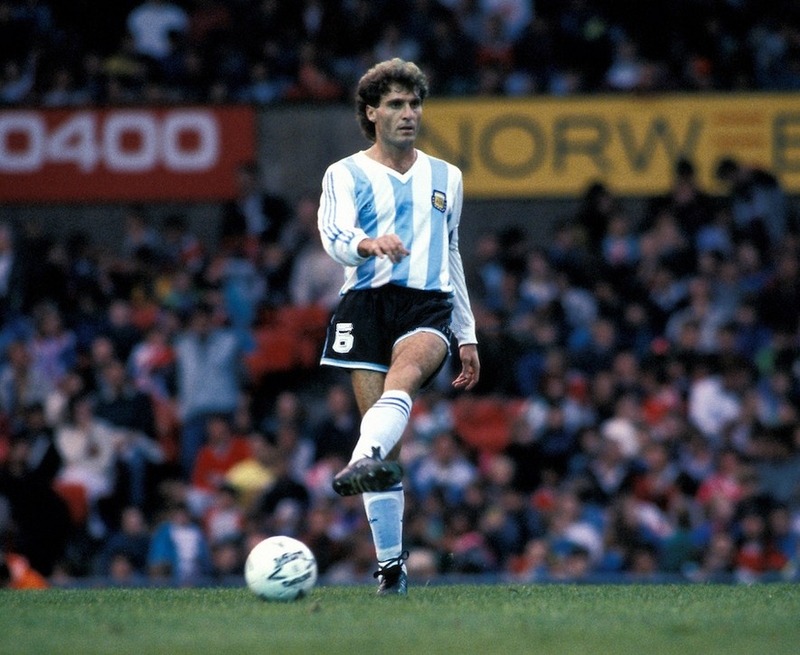 Argentina’s Oscar Ruggeri was the only player who took part in that match. -This would be the last ever meeting between the nations as USSR would break-up before the end of the year. 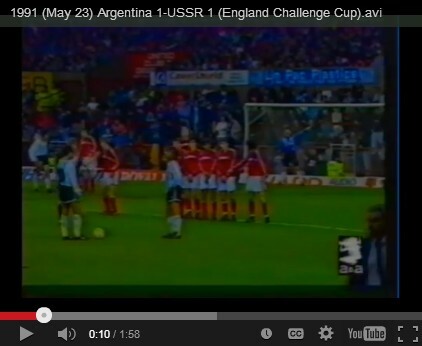 The coup that would precipitate the fall of USSR occurred within 3 months of this match. -Goycoechea saved a penalty kick in the 36thn minute taken by Igor Dobrovolsky. 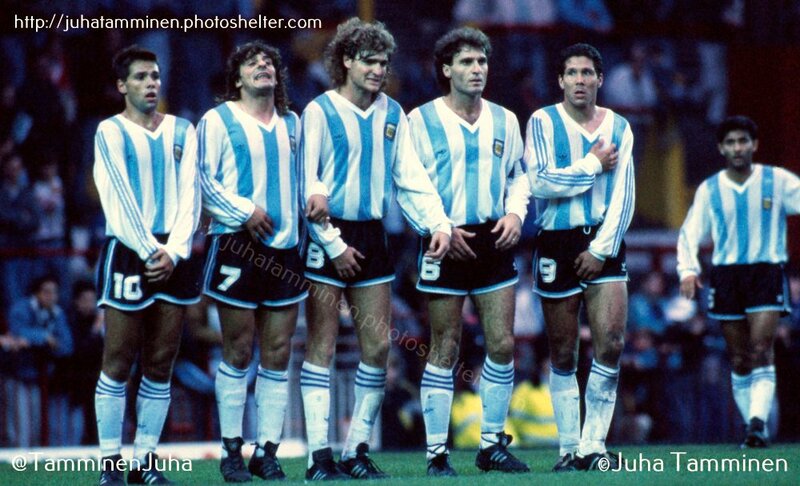 -Goycoechea, Ruggeri, Simeone and Alfaro Moreno were the only Argentina players to have been capped under previous manager Carlos Bilardo. 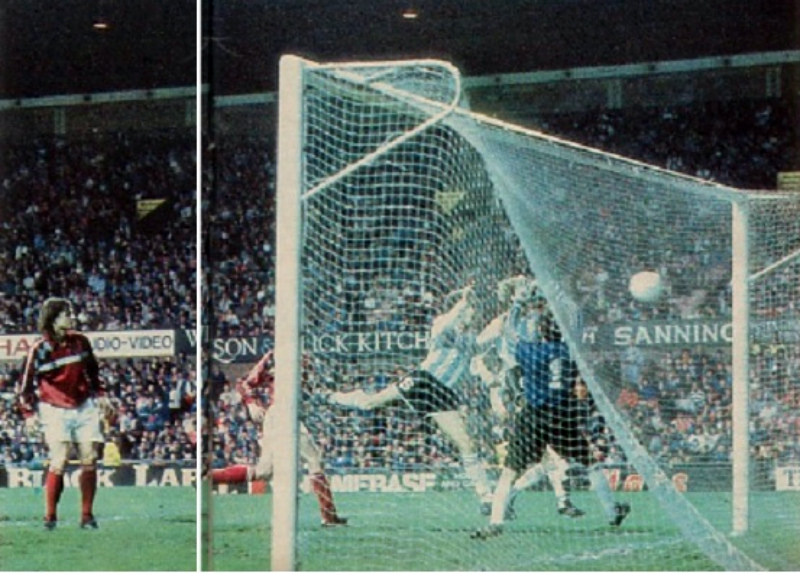 -Two days later Argentina played vs. the hosts England in the Tournament and tied 2-2. 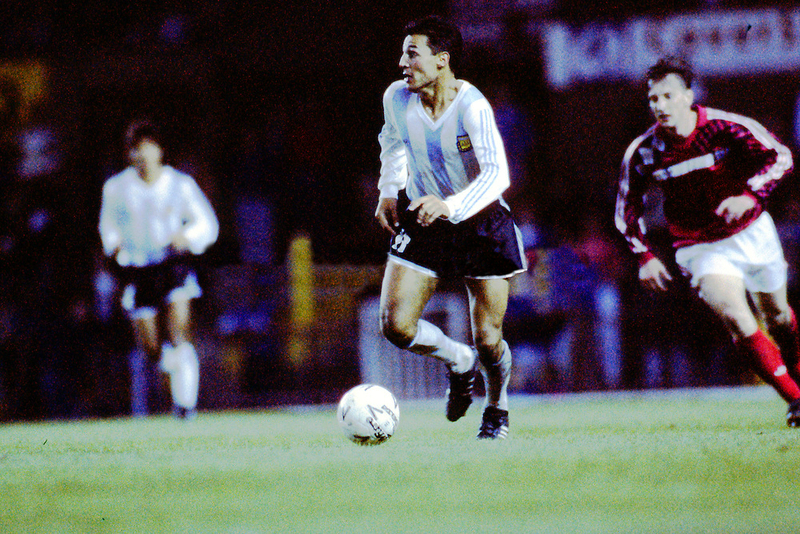 Claudio Garcia and Dario France scored Argentina’s goals. 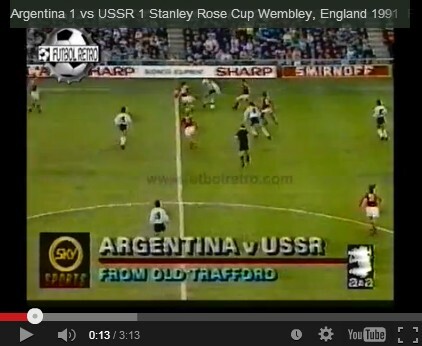 -Two days before USSR had played vs. hosts England and lost 1-3. 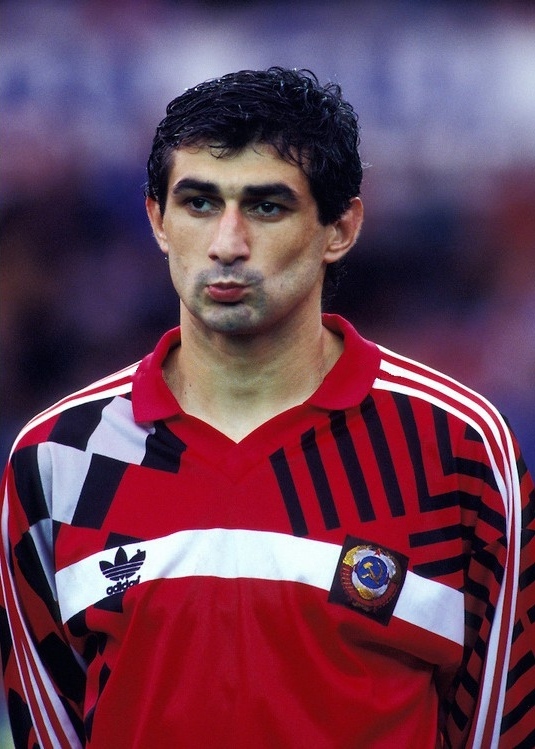 Vladimir Iosifovich Tatarchuk, who was an unused substitute for the Argentina match, scored USSR’s goal. 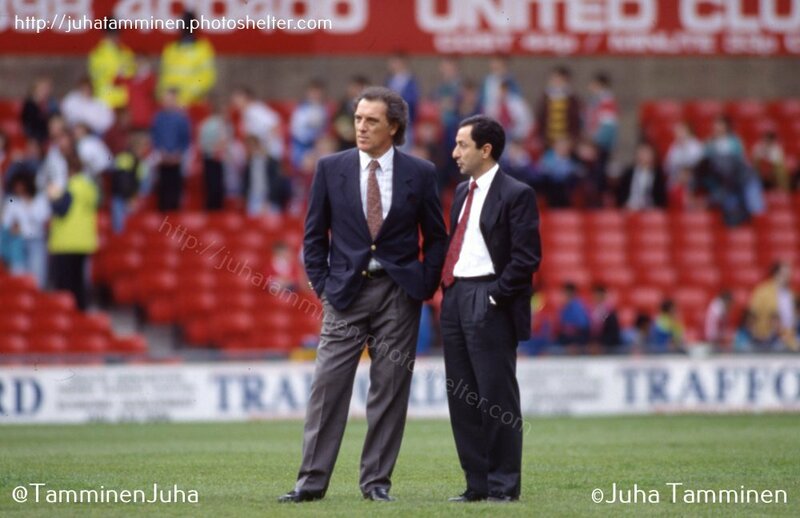 -Both national team managers had been appointed following the 1990 World Cup. Both teams were rebuilding and most players had few caps. -USSR’s Andrei Kancheslskis had just been signed by Manchester United and was in fact playing in his new club’s home stadium. He had already played one league match for Manchester United. 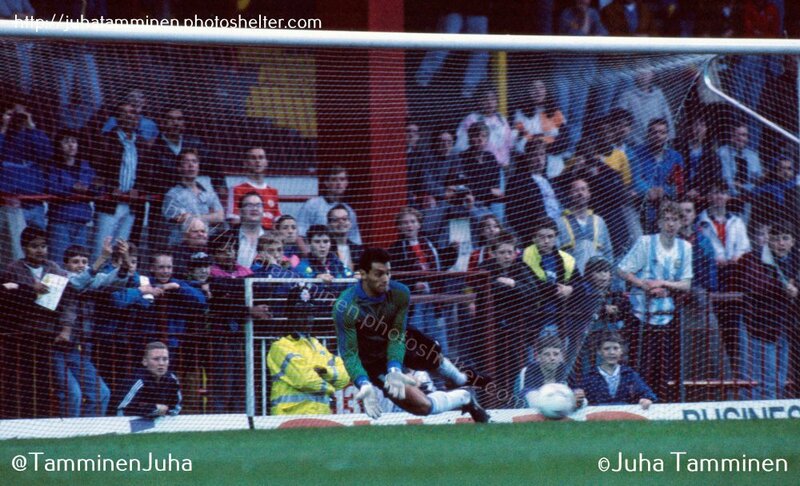 He would remain at Manchester United until 1995 and then join Everton and also Scotland’s Glasgow Rangers. -USSR was missing Oleg Kuznetsov in defense, who had joined Scotland’s Rangers Glasgow that season. Aleksei Mikhailichenko would join him at Rangers the following season. Soviets were also missing Sergei Aleinikov who was not released by US Lecce. 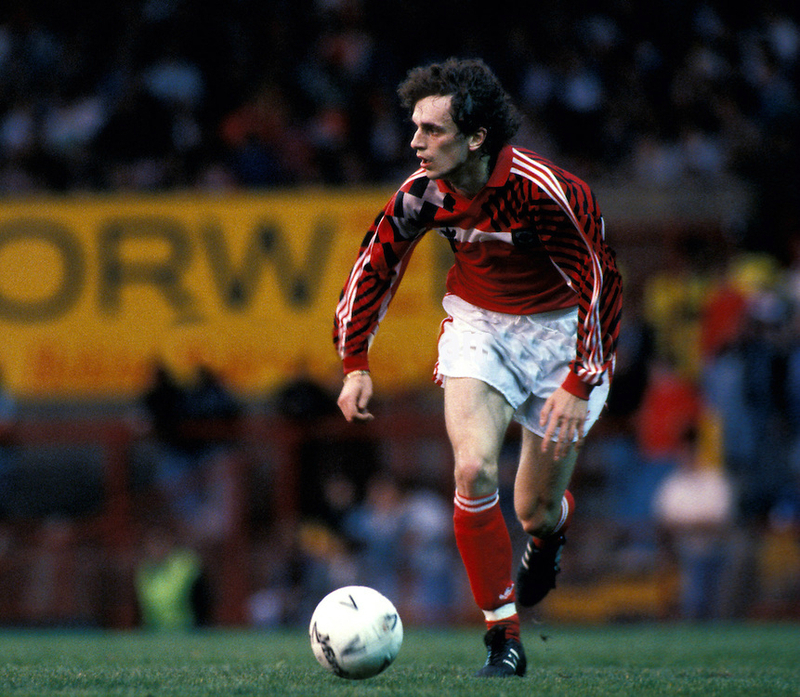 Also missing were Dinamo Kiev’s Sergei Yuran and Spartak’s Alexander Mostovoi and Olympiakos’ Oleg Protasov. 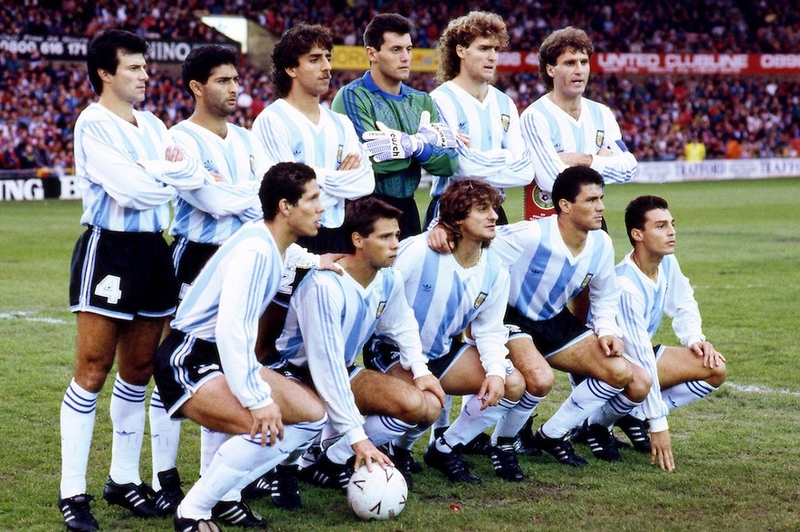 -Argentina was missing then uncapped Gabriel Batistuta and Diego Latorre who were not released by Boca Juniors because of Copa Libertadores commitments. Likewise, Italian Club Atalanta of Bergamo did not release Claudio Caniggia. Star and Captain Diego Maradona had been banned for failing a drug test in an Italian League March in March and would be out of the game for 15 months. -This Argentina squad would triumph in Copa America in two months at Chile. -Dario France would join Real Zaragoza for the following season. 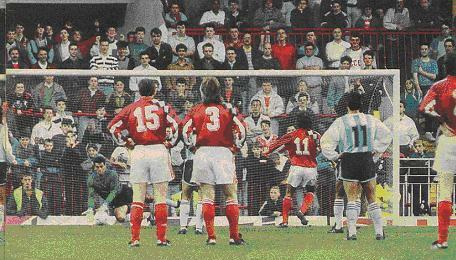 Sergio Berti would also join Real Zaragoza for 1995/96 season. -Soviet Kulkov would join Benfica in Portugal the following season and Shalimov and Kolivanov would join Italian Serie A club Foggia. Alexander Mostovoi would join Kulkov at Benfica in the midseason of the following season. -Ahrik Sokratovich Tsveiba was injured in the 27th minute and replaced by Dmitri Kuznetsov. 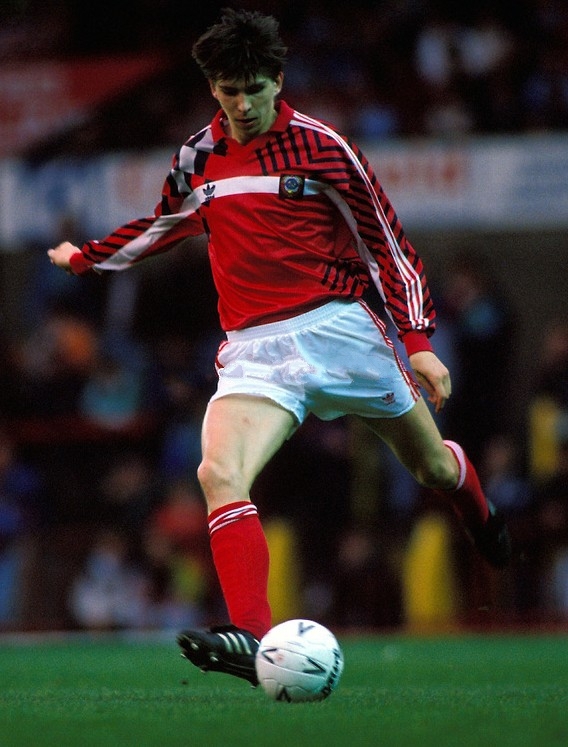 -Oleg Sergeyev’s debut for the USSR national team. 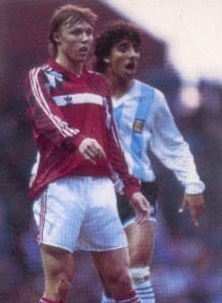 -Andrei Chernishov was sent off in the 73rd minue for pulling back Berti, as he was the last defender. 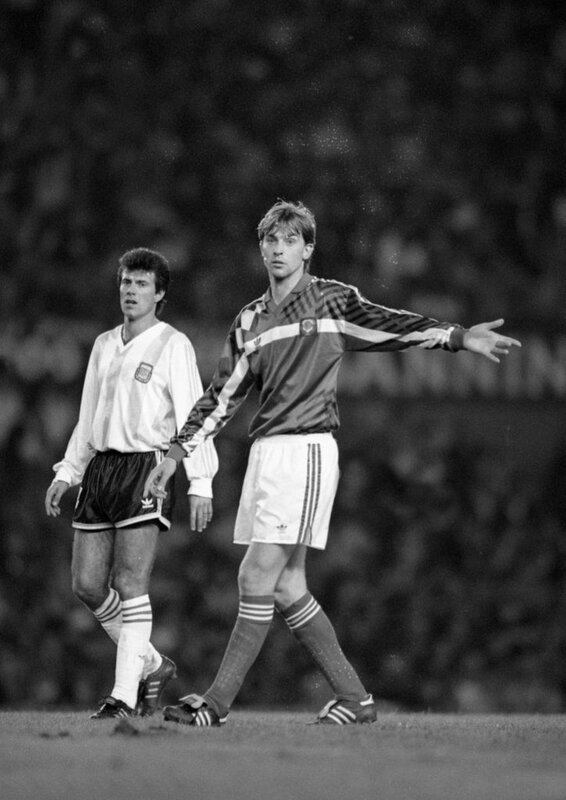 In the previous match between the nations on June 13, 1990, Vladimir Bessonov was also sent off for USSR. -Alfio Basile would manage until the end of 1994 World Cup. He would be re-instated as Argentina manager from 2006 until 2008. -Soviet manager Byshovets, who represented USSR in the 1970 World Cup, would manage USSR/CIS until 1992. He would also manage the South Korean national team as well Russian national team in 1998. -Diego Simeone is the current manager of Atletico Madrid in Spain. -Alexei Aleksandrovich Mikhailichenko has managed the Ukraine national team and Dobovolsky has managed the Moldova national team. -Diego Simeone and Igor Shalimov have both played for Internazionale FC Milano in Italy’s Serie A. -Alexei Aleksandrovich Mikhailichenko won the Serie A title that season with Sampdoria, though he personally had a poor season. Dobovolsky joined Italy’s Serie A team Genoa in 1992; Kancheslkis also joined Fiorentina in Italy in 1997. Argentina’s Berti also had a short spell in Italy with AC Parma. 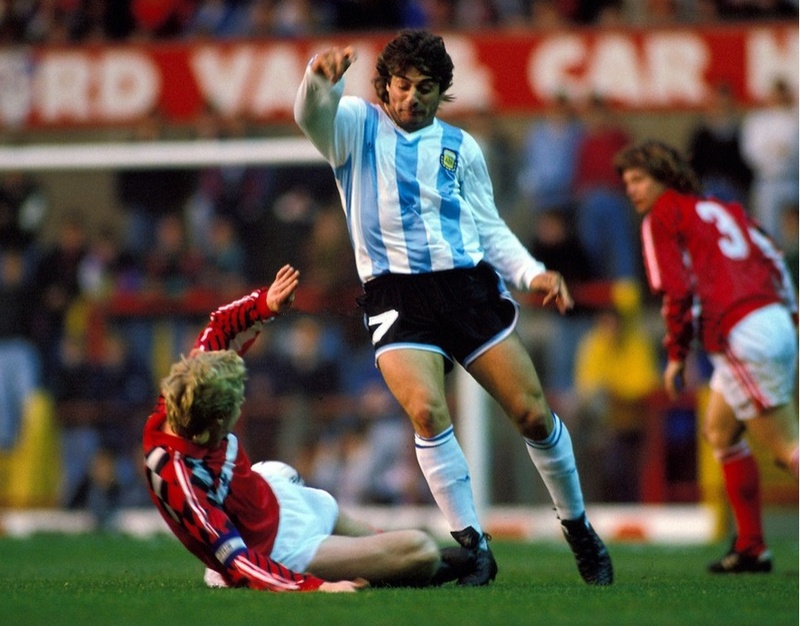 -Both Ruggeri and Berti have played for both Boca Juniors and River Plate. -This Soviet Union would be re-named the Commonwealth of Independent States in 1992. Following the 1992 UEFA European Championships the team would dissolve, as players would join their newly independent nations. 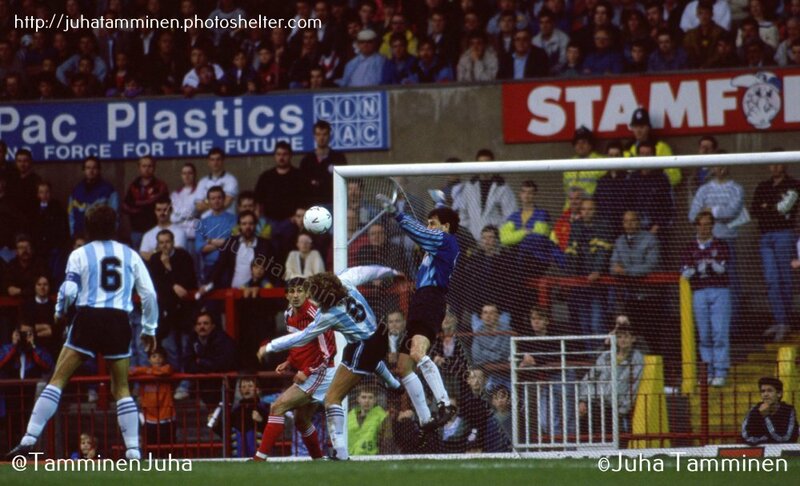 -Following the break-up in 1992, Kanchelskis, though a Ukrainian, opted for Russia to have a better chance of playing in the World Cup. EL Grafico, 1991, Issue Number 3738. 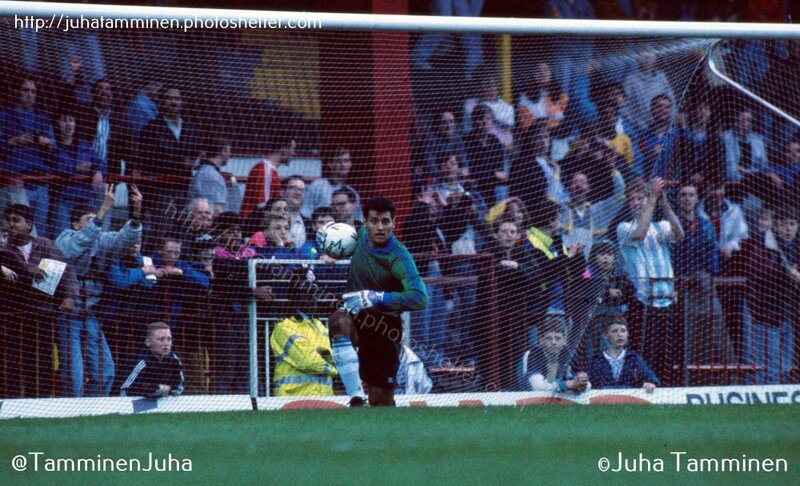 23.5.1991, Old Trafford, Manchester, England. 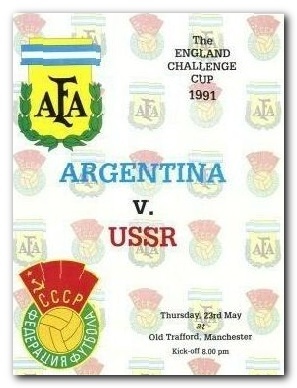 Friendly International Match, Argentina v USSR. Игорь Колыванов (СССР) и Серхио Васкес (АРГЕНТИНА).